The 2018 Volkswagen Tiguan adds a touch of style, efficiency, and customization to the SUV. The Tiguan offers a spacious interior with comfortable second-row seating. It also offers improved exterior styling and performance along with plenty of cargo space. The 2017 Honda CR-V was all-new and offers similar styling but comes up short in the power department. The 2018 Tiguan is offered in four trim levels as is the CR-V. We believe that the Tiguan has far more to offer than the CR-V, let us show you why. When it comes to performance, the 2018 Volkswagen Tiguan comes out the clear winner. Under the hood of the Tiguan sits a turbocharged 2.0-liter four-cylinder engine sporting 184 horsepower and 221 lb-ft of torque. The 2017 Honda CR-V comes with a naturally aspirated 2.4-liter four-cylinder engine that manages 184 horsepower and only 180 lb-ft of torque. The Tiguan also features an eight-speed automatic transmission in comparison to the 2017 CR-V with its continuously variable transmission. The 2018 Volkswagen Tiguan sits atop a new platform that can be found in the majority of Volkswagen models including the Golf and the new Atlas three-row SUV. In fact, the Tiguan shares the same muscular shape as the Atlas and is 10 inches longer than the previous model. The good news is that VW chose to use this space to add extra cargo carrying space, extra legroom, and an optional third row of seating. Fully redesigned for the 2018 model year the Volkswagen Tiguan has so much to offer in both front-wheel drive and all-wheel drive, whereas the CR-V is offered in all-wheel drive only. 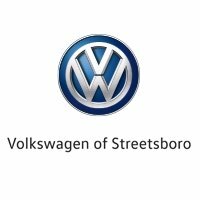 If you are interested in learning more about the 2018 Volkswagen Tiguan and why we believe it comes out the clear winner in the battle between the Tiguan and the CR-V, come in and visit Volkswagen of Streetsboro. Our knowledgeable and friendly sales team is ready to answer your questions, take you out for a test drive and then help you with everything else to ensure you are ready to drive your new Tiguan home today! For your convenience, we are located at 855 Classic Dr., Streetsboro, OH 44241 and open at 9 a.m. every day!